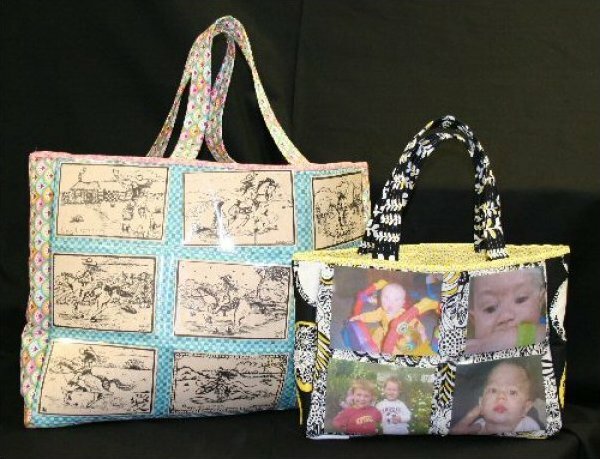 Totes in 2 sizes with vinyl photo slots on 1 side. Carry your memories with you! Pattern includes instructions for both sizes. Large is approx 18"W x 16"H x 3"D. Small is approx 12"W x 10"H x 3"D.